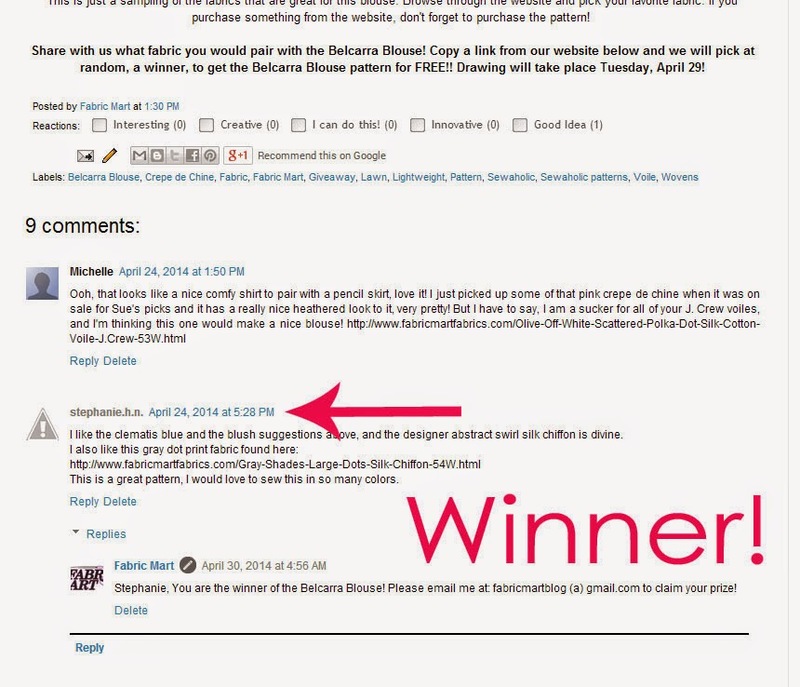 We have a winner in the Belcarra Blouse Pattern Giveaway! Congrats to Stephanie H.N. in our random drawing. Stephanie, please email me at fabricmartblog (a) gmail.com to claim your prize. 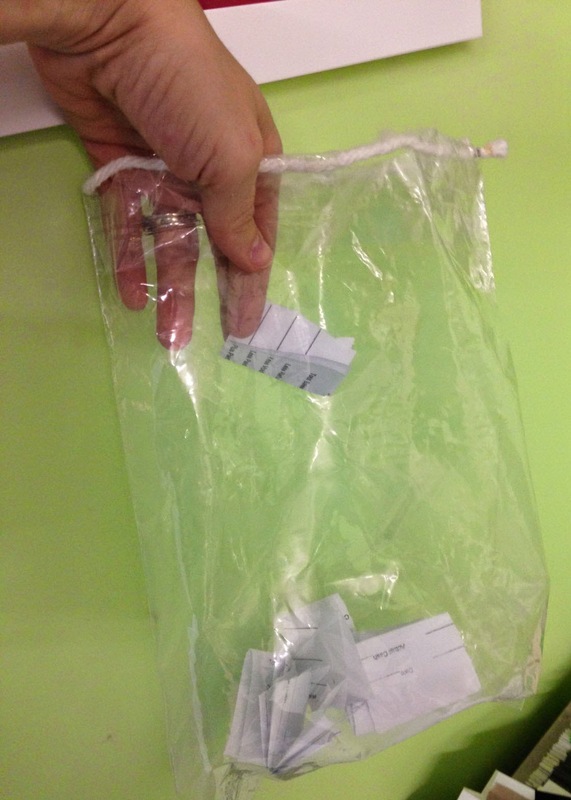 If I do not hear from you by Friday, May 2, we will select another name. If you would like your own copy of the Belcarra Blouse, check out our website here! 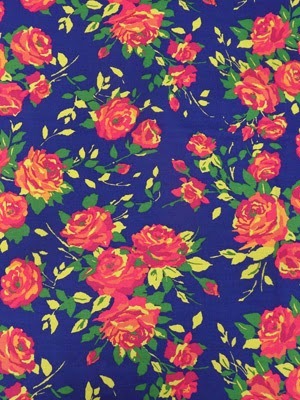 To view many of the other patterns Fabric Mart carries, click here. 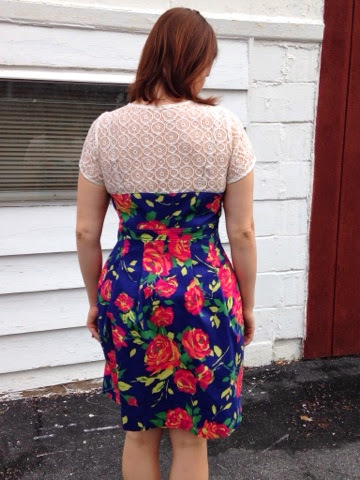 Sewaholic Patterns does it again...creates another fabulous design! And we're so lucky to have this pattern in stock! This semi-fitted, pullover blouse creates the illusion of a loose fitting blouse, with shaping in all the right places. We have this pattern in stock! Click here to buy it now! This gorgeous Clematis Blue China Silk would be perfect in this blouse, especially in view B, which has pleats along the shoulder line. Light pink and blush fabrics are trendy this season. 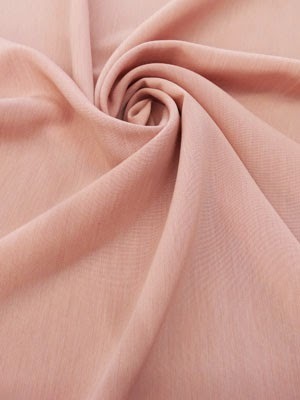 This Dusty Pink Poly Crepe de Chine would make a lovely blouse! 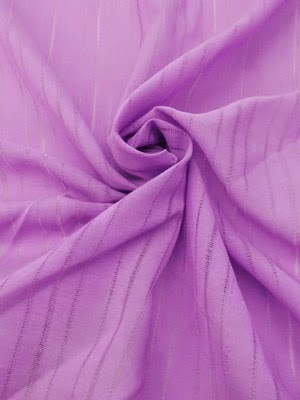 This Orchid Stripe Silk/ Cotton Voile is the NOW color! (2014 Pantone Color of the Year!) Lovely color with a delicate stripe. 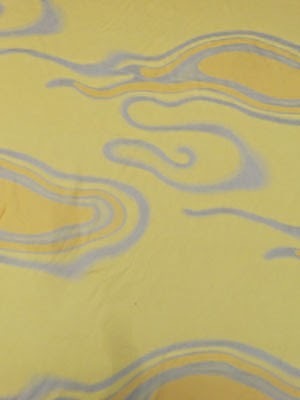 This Abstract Swirls Silk Chiffon, a designer fabric, would be fun to play with print placement. This is just a sampling of the fabrics that are great for this blouse. 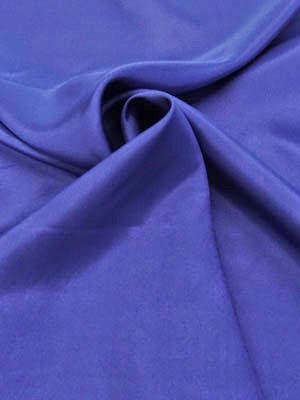 Browse through the website and pick your favorite fabric. If you purchase something from the website, don't forget to purchase the pattern! Share with us what fabric you would pair with the Belcarra Blouse! 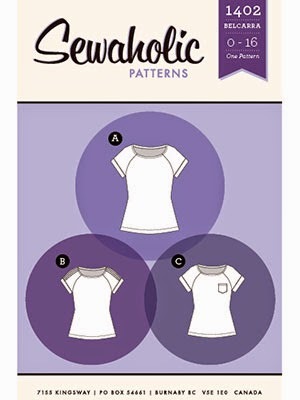 Copy a link from our website below and we will pick at random, a winner, to get the Belcarra Blouse pattern for FREE!! Drawing will take place Tuesday, April 29! In today's step, I will focus on inserting the elastic. Before you do this, be sure to attach the bodice to the skirt pieces, matching side seams and other markings. Use the waistline marking as your seam allowance. Then sew a second seam line 1/4 or so from the edge of the fabric, leaving an opening for you to insert the elastic. You've now created the elastic casing! When first looking at this pattern, I didn't realize it had an elastic waistline. It actually made me happy because then any size adjustments can be altered with the elastic! I had someone ask me in a previous step what elastic to use. There are a variety of different elastics out there, but two of the most common are woven and knit. Woven elastic is sturdy and knit elastic is softer. I used a woven elastic because that is what I had in my stash. (I keep a variety of different elastics on hand.) But if I had the option, I would probably pick a knit elastic because the knit I made the dress with is a lightweight knit. So I would say it is personal preference. When you start using wider elastics, you will notice a big difference between knit and woven. Then I would say that you should select one over the other depending on your project. If you're new to sewing, maybe you've never inserted elastic into a garment. I use a safety pin to fish it through the casing. I have the safety pin "stitched" through the elastic so that the elastic does not bunch up on the pin as you fish it through. As I was fishing the elastic through, I couldn't get it through the pocket area very easily. Because of all the thicknesses of fabric, it was hard to pick the right slot. (It's hard to explain it until it happens, so I'm sure you will find this problem when you do it too!) I had to keep moving the safety pin backwards a few inches and then trying to guide it into another opening until finally the safety pin went through. So just watch for that as you go. 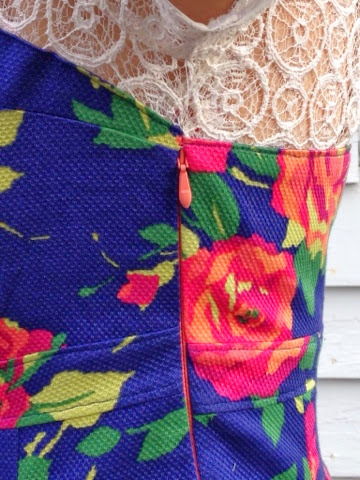 Once you have the elastic inserted, attach the safety pin to the other end of your elastic and try the dress on. Adjust to your liking. I sew the elastic ends together by machine. This ensures that it's not going to come apart in wearing! Now that you have the bodice and skirt sewn together and the elastic inserted, press the casing toward the bodice and top-stitch the casing to the bodice section. If you have a hard time doing this, no worries, you can cover it up with a belt! That's it for today, pretty easy right? Next time we will work on the sleeves. I know some of you have asked how long the sew-along will be and when the finished garment will be due to be entered to win a $50 gift certificate. I'm thinking we will wrap up with the sew-along late next week. Then I will be giving everyone two weeks from the last post date to finish the dress and submit it to be entered to win a gift certificate! Cutting Out the Pattern Pieces: Cutting out your pattern pieces can be one of the most important things you do. If they are not cut out correctly, you risk the garment not draping or fitting well. Assuming that all of you are using 60" wide fabric, the pattern wants you to cut out some of you pieces on the fold, meaning that your selvedges meet in the middle of your fabric. I always worry that my fabric is not going to be on grain, but with a cutting board with grid, a yard stick and pins, you should be able to make it work. I do not always follow the cutting directions that the pattern gives me. Sometimes I feel like they are wasteful with the way they lay out pattern pieces. With this pattern, I cut out all of the pattern pieces that needed to be on the fold first. While laying things out, I realized that I may not have enough fabric... The fabric measured as 2 1/2 yards, but there was a huge curved cut making it more like 2 1/4 yards. This doesn't always make a big difference when you're not following the pattern directions, but it did this time! I had just enough fabric for the dress! Before cutting out ANY pattern pieces, make sure you have enough fabric for the single pieces. (The two front bodice pieces.) Go ahead and cut out the pattern pieces. Choosing thread: This step may sound silly to you, but I honestly had no idea which thread to pick. There are so many colors and not any dominate ones. I didn't like how the light colors looked, so it was a toss-up between black and purple. I picked the purple. It seemed to blend in well! 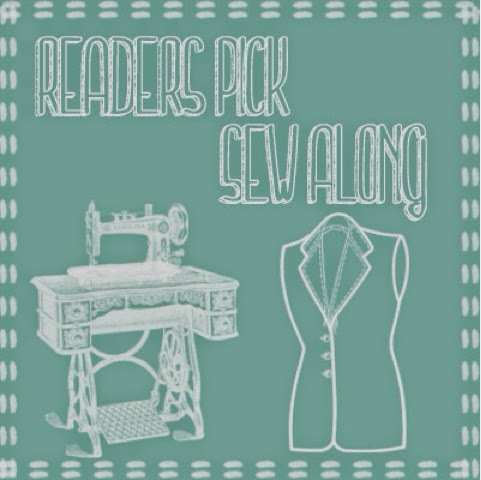 Cutting Alterations: Whether you are making a muslin as we go, or you already made it, no worries! I did not have too many cutting alterations. Plus I'm still learning about my body alterations, so I'm not as picky right now. I made two adjustments: made a smaller back bodice and cut out a size 16 on the skirt bottom and size 14 on the bodice. I made a muslin and it was good I did! When I tried on the muslin bodice, the back of the neck area really gapped. I'm not really sure what to call it. Do I have a sloped back? I could literally make a dart at the center back and still be comfortable. So my husband pinned it the best he could (see photo) and I used that as my guide to make the back smaller. When I tested the dart on my muslin, I made a dart that went about half way down my back. Then on the pattern, folded it along the fold edge to mimic the dart I made on the muslin. When cutting out the pattern in the good fabric, I still placed the pattern piece on the folded edge. It was just not exactly on the grain. Grading up a size for the bottom was easy. Because I am working with a knit, it is easier to fudge the grading than to actually grade each pattern piece to another. If I were grading more than one size, I would have graded the waist of the skirt to match the waist of the bodice. But instead, I just stretched the bottom of the bodice to fit with the skirt. Over on the Flickr page, one of our followers asked, "I started cutting out my pattern pieces and I need to add 1" to the bodice length. With the pleating in the front, I am not sure how to do this. There are no markings to show where to lengthen." I didn't notice that the lengthening lines were not included in this pattern. Honestly, I was a little stumped! So I did a little research and came across Handmade by Heather B. She has a really good tutorial on how she had to shorten the bodice and drafted her own lines. These lines look to be in a good place to also lengthen. So if you're having trouble, click the link above and let us know how it turned out! If you have an adjustment question that pertains to cutting out your pattern, ask now! Here is a timeline of the sew-along. Step Two will be posted on Wednesday! I'll be here to ask any questions in the meantime!